Cannot be Normal Summoned or Set. 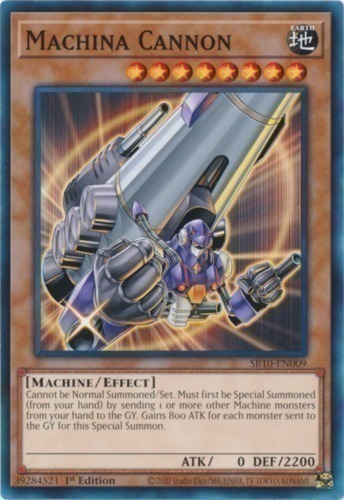 Must first be Special Summoned (from your hand) by sending one or more Machine-Type monsters from your hand to the Graveyard. This card gains 800 ATK for each card sent to the Graveyard for this Special Summon.